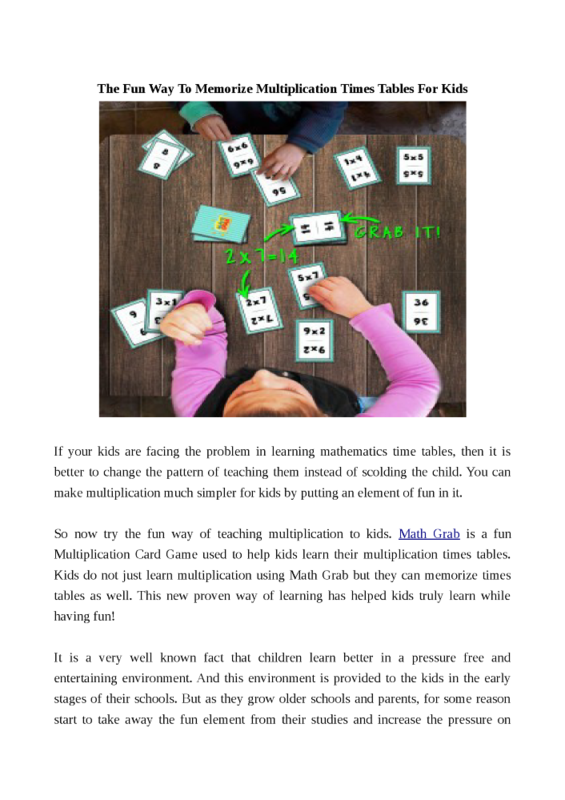 (Since early grades learn to count by 2s, 5s, 10s, and 3s, you�d teach the multiplication tables in that order, one at a time. 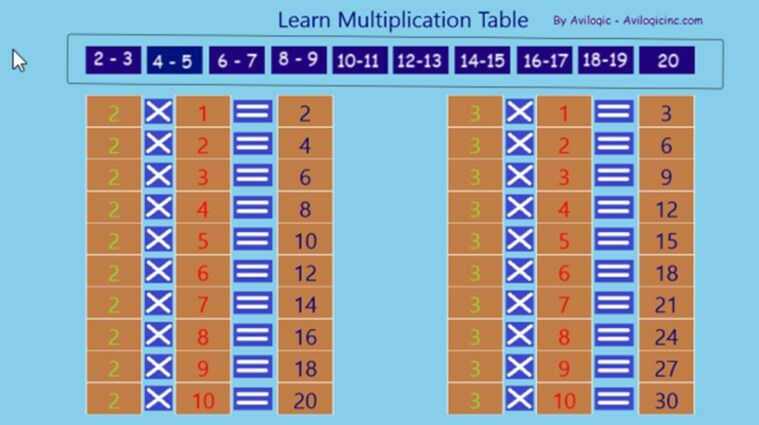 In third grade, you�d start with the 0s and continue in numerical order with all the tables through the 12s.)... You memorized those easily enough - use the same technique for the remaining 36 times table facts. A better way is to understand where the facts come from and then learning the facts (and other things later, like long multiplication, division, etc.) will become easier. You memorized those easily enough - use the same technique for the remaining 36 times table facts. A better way is to understand where the facts come from and then learning the facts (and other things later, like long multiplication, division, etc.) will become easier.